The Federal and Victorial governments are providing $11 million to build more and better roadside facilities for thousands of long-distance truck drivers in Victoria. THE Federal and Victorian Governments will together provide $11 million to build even more and better roadside facilities for the thousands of long-distance truck drivers that use the state's highways every day. Federal Infrastructure and Transport Minister Anthony Albanese said the new money will be used to construct four new rest areas including on the Sturt Highway at Cullulleraine, the Princes Highway East at Club Terrace and the Princes Highway West between Heywood and the South Australian border. "These projects have been approved under the $220 million Heavy Vehicle Safety and Productivity Program, and build on the four projects which have already received funding in Victoria previous rounds," Mr Albanese said. "Established by the Federal Government shortly after coming to office in late 2007, this Program is the first ever dedicated Federal response to the lack of safe, modern rest stops along the nation's highways. "Fewer fatigued truck drivers behind the wheel will help make our roads safer for everyone. "For the first time, Commonwealth funding has also been set aside to improve safety at livestock saleyards and to upgrade other facilities used by the livestock transport industry. "This money, in addition to a contribution from councils and industry, will be used to construct truck wash bays; replace winches; and upgrade ramps, lighting and security features, making the livestock transport industry safer for truck drivers and their families." Victorian Minister for Roads Terry Mulder said the projects were selected following consultation with the trucking industry. "Projects funded through this program will help deliver the Victorian Coalition Government's objectives of supporting industry in regional Victoria by boosting productivity in freight supply chains while improving safety outcomes for the Victorian heavy vehicle industry," Mr Mulder said. 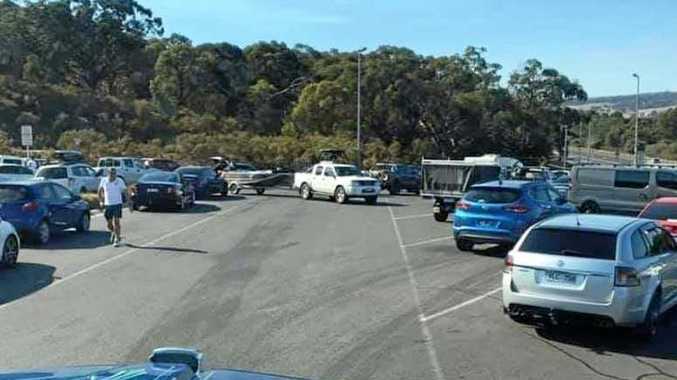 "Funding will also go towards a new right turn lane on Bayside Road in Geelong, a reconfigured intersection at Murray Valley Highway and Airport Road, Kerang, and bathroom facilities at rest areas on the Calder Highway at Dumosa."